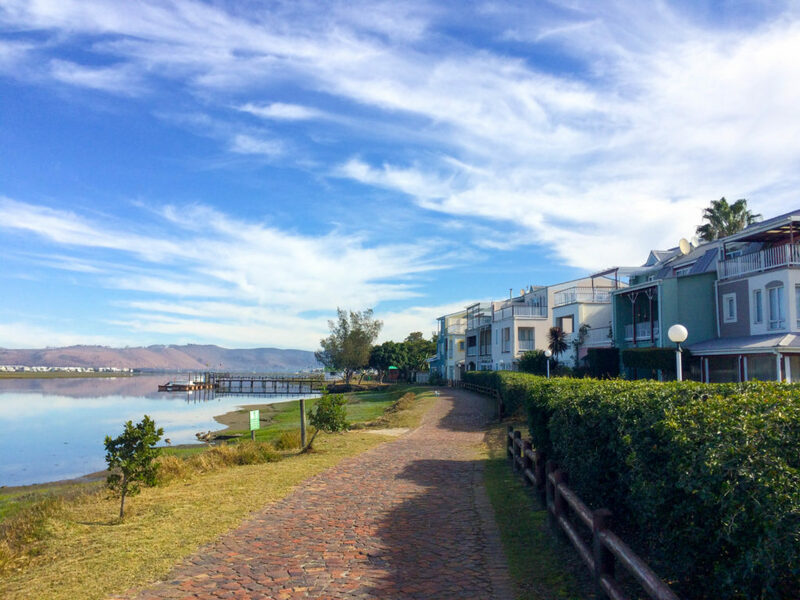 One of my favourite stops when travelling along the South Africa’s Garden Route was Knysna. 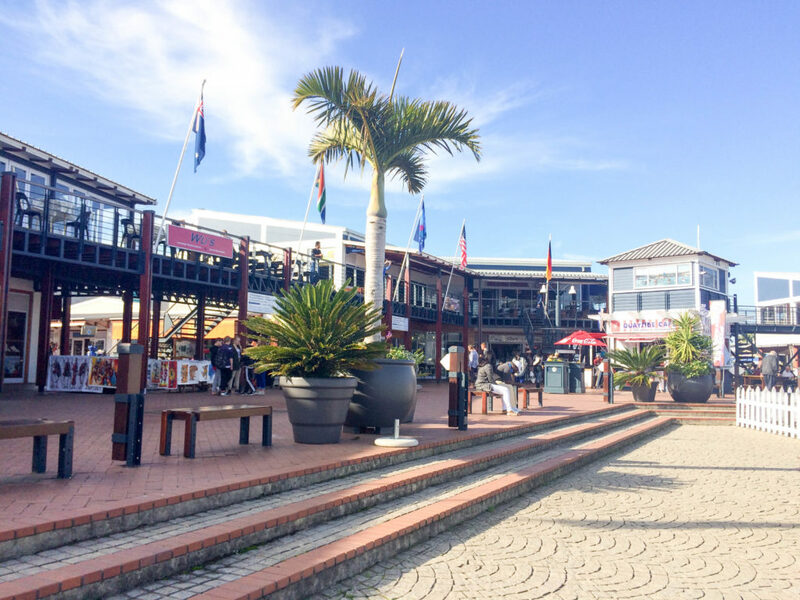 This lovely and relaxed city by the Indian Ocean made an absolutely good impression on me. Its name may be hard to pronounce, but the people here are really friendly. Everyone was greeting me when I was biking around. 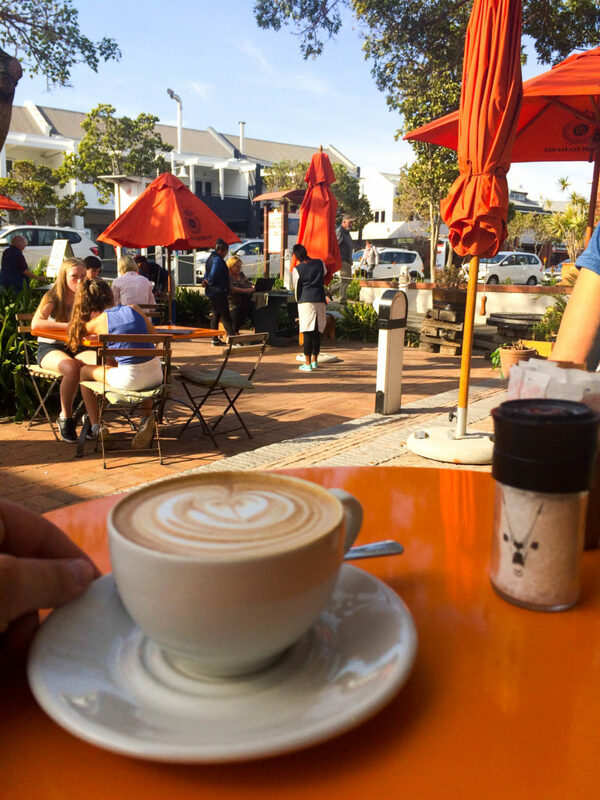 Although it was wintertime, the weather was sunny and warm, I eat some amazing food, tried locally crafted beer and enjoyed walking past cute houses that are all around the city. 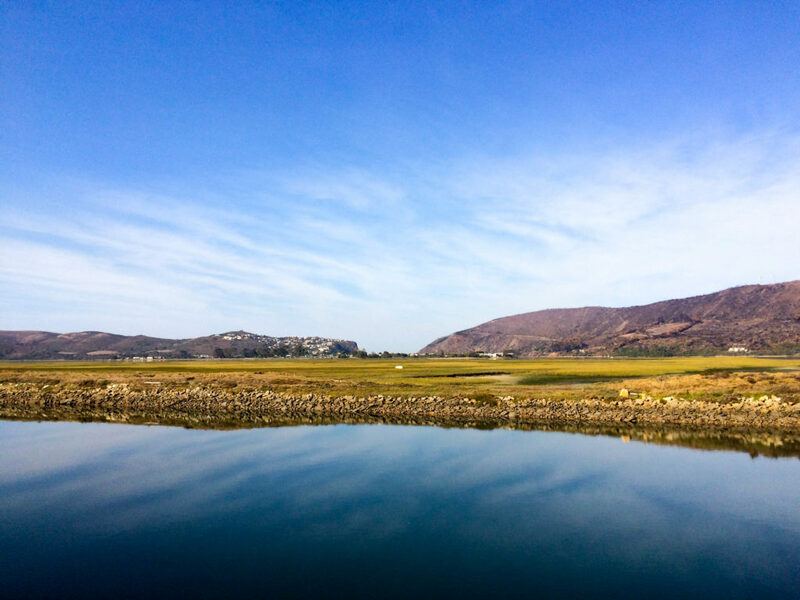 So, what are five things you can’t miss when in Kynsna? East ad South Knynsa Head guard the entrance of Indian Ocean into the Knysna Bay, where the Knysna river flows into the Indian Ocean. 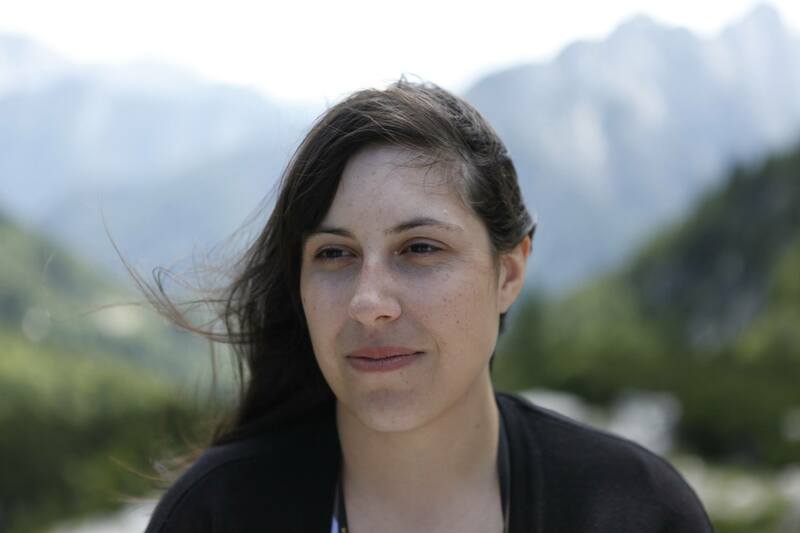 The heads rise up on both side of the ocean and the top offers amazing views. 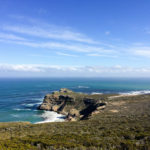 If you are lucky you will also spot whales from up there. 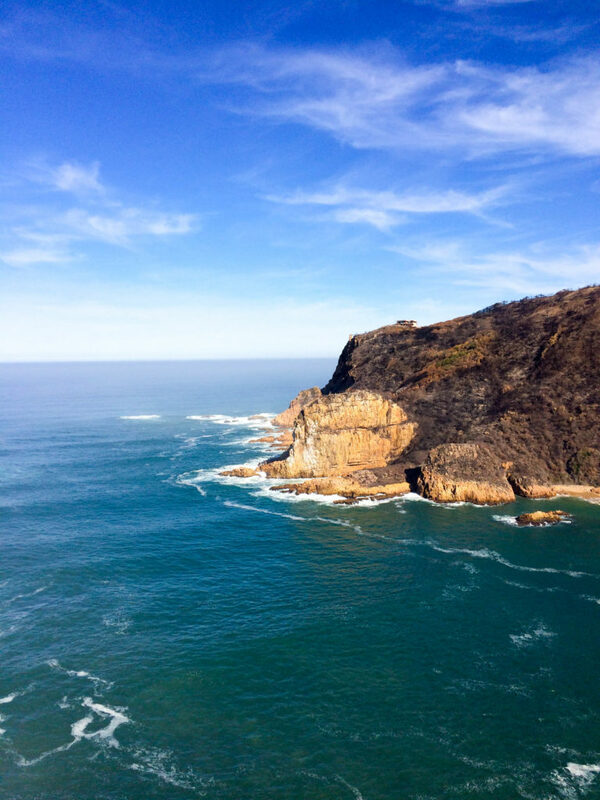 The viewpoint is located at the East Knysna Head and you can drive up there with a car. 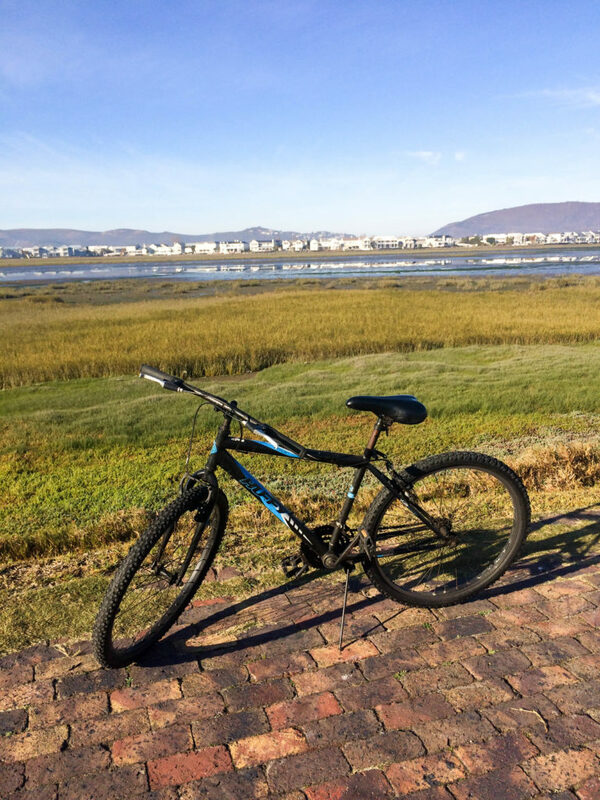 However, I suggest renting a bike in the city and driving along nicely ordered path that leads from the city centre to the foot of East Knysna Head. There I left my bike at the local car park and tipped an employee to guard it so I could continue my way up the hill on foot. It’s quite steeply, but the views that were opening before my eyes were well worth the walk. 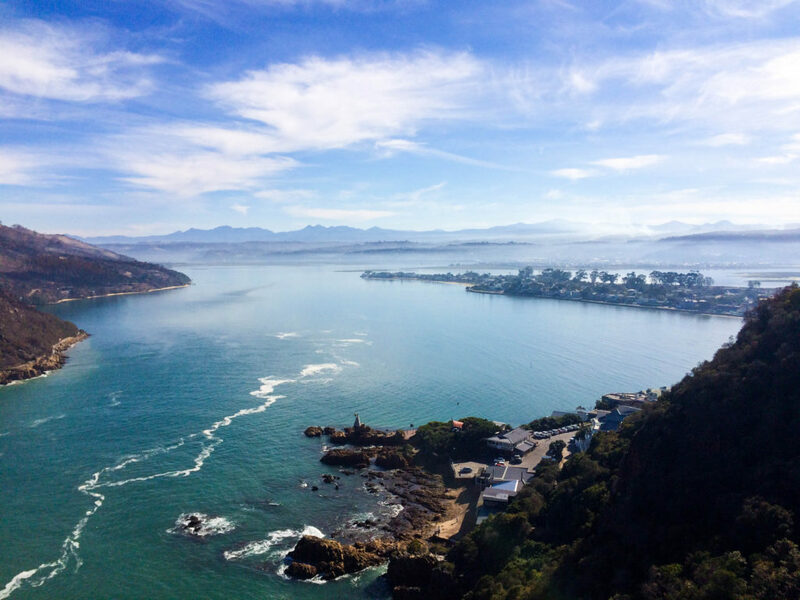 And once you are up on the top you can see both Knysna bay and the Indian Ocean. 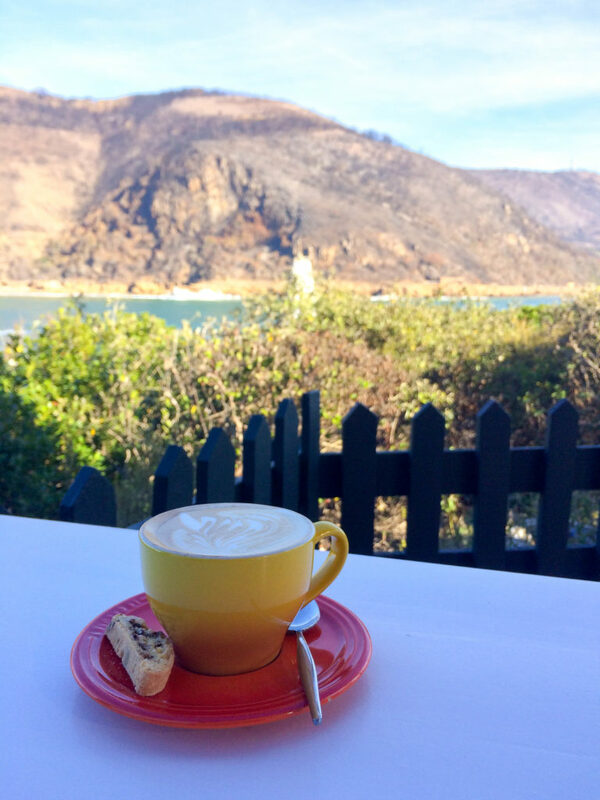 When you are in the area don’t miss out on delicious coffee which you can get at the East Head Café. 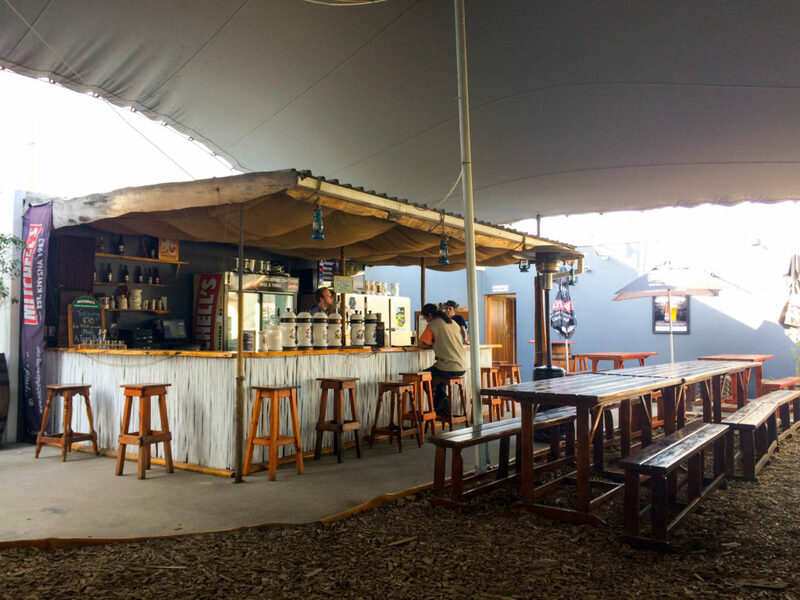 It’s the best place for a drink or food with a view. 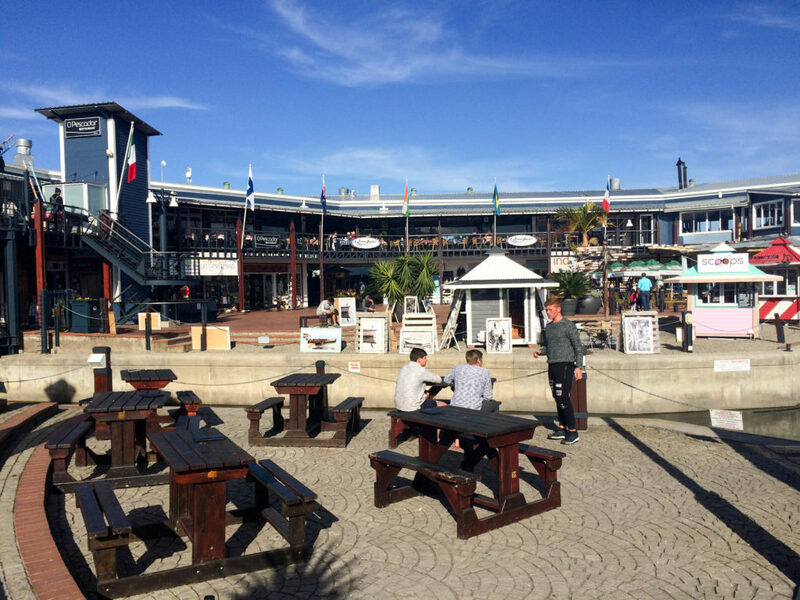 The Waterfront is the magical place in the city where you can choose to eat in one of many delicious restaurants, browse around stores and buy some souvenirs. 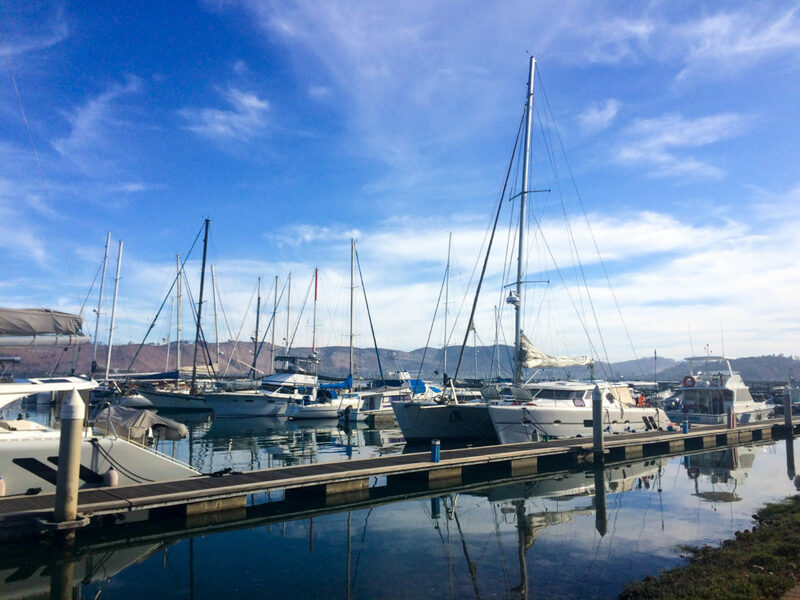 Here you can also look at interesting boats, sailing boats and yachts in the marina or sit on one of many benches, enjoy the sun and watch people going by. 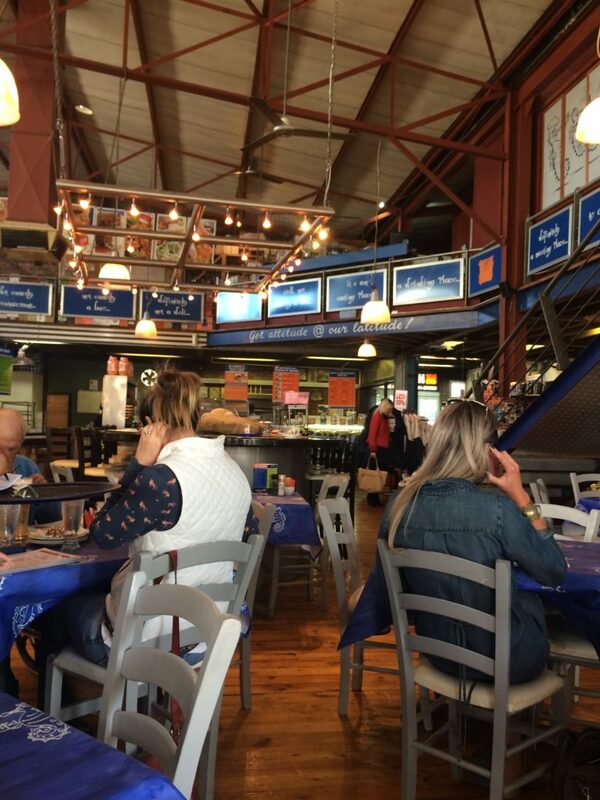 They call Knysna the oyster capital of South Africa, some even say of the world. 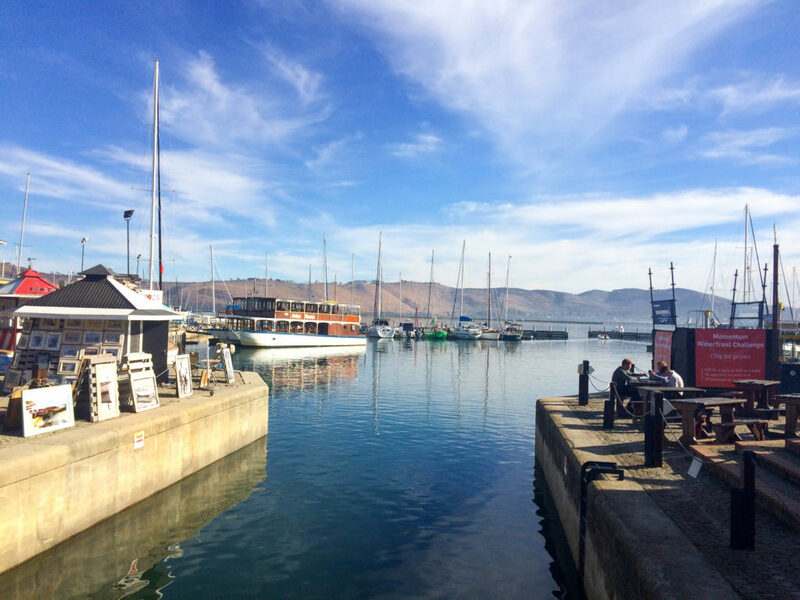 Knysna is where the first commercial oyster company in South Africa was founded and here you can also find wild oysters. 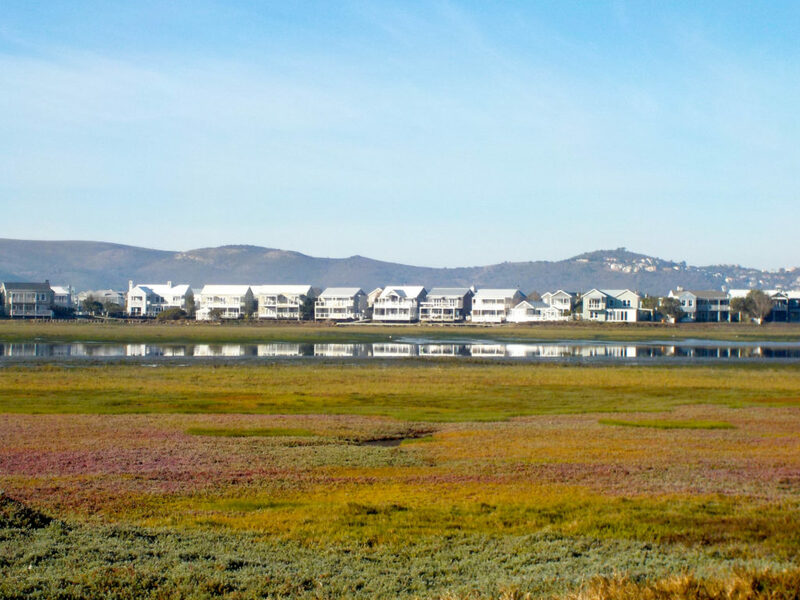 Every summer the city is home to the Knysna Oyster Festival. 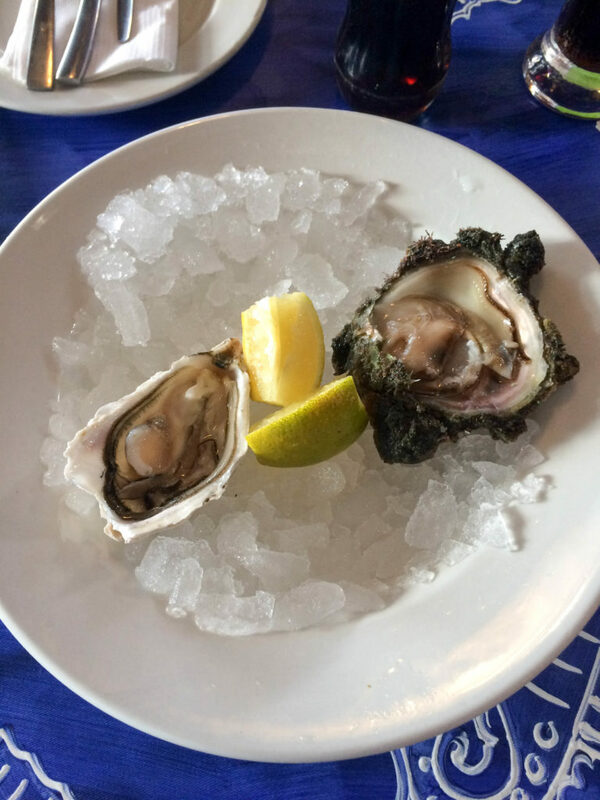 I have never before tried oysters, so I had to give them a chance when visiting Knysna. 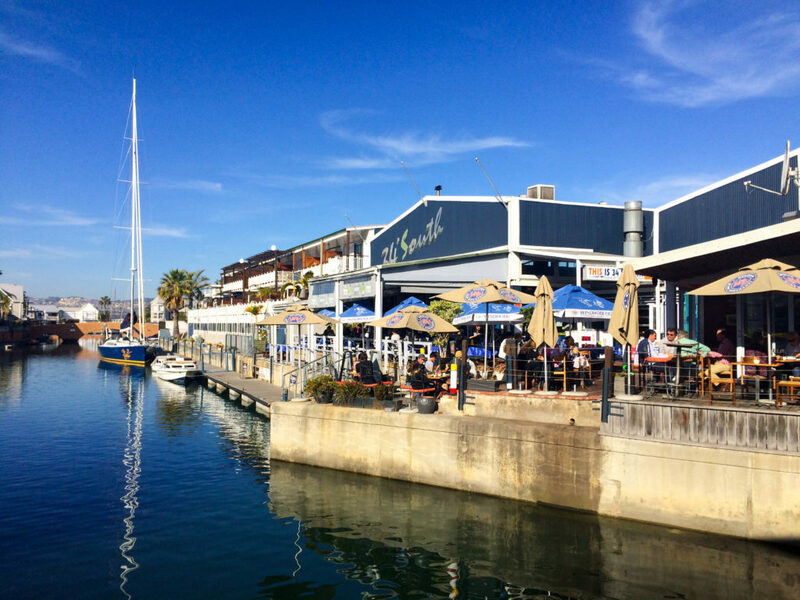 They say the best place for oysters is the 34 South, a restaurant located at the Waterfront. 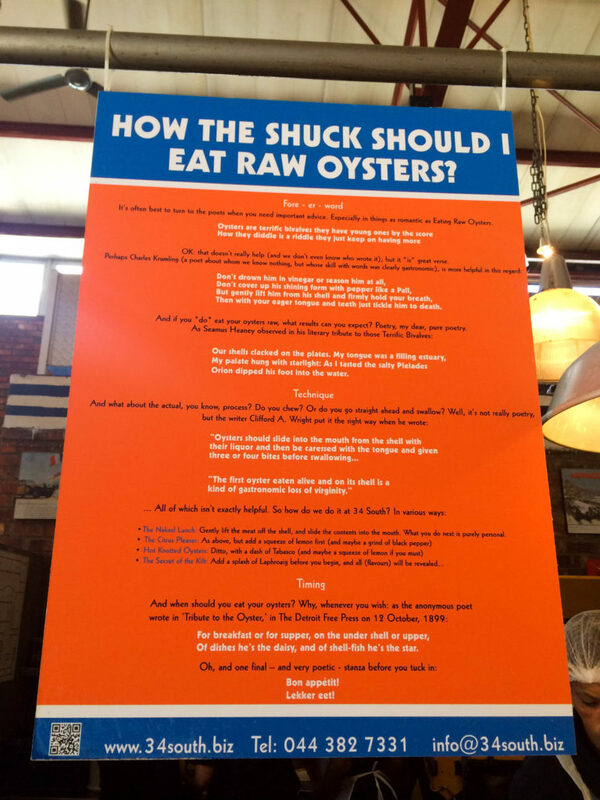 The first question they give you is: “Would you like to eat wild or cultivated oysters?” Wait, what? I didn’t even know there are two types of them. So naturally, I went for one of each. 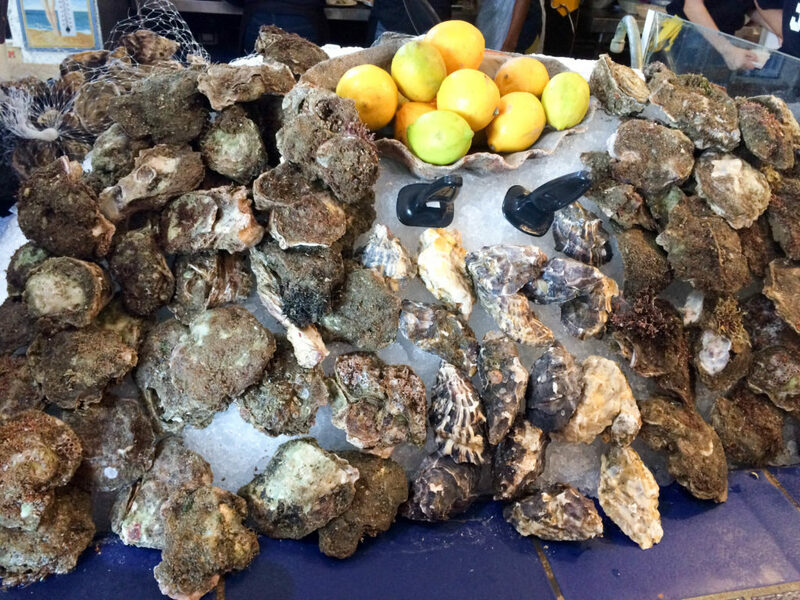 And I was positively surprised, oysters do taste good. 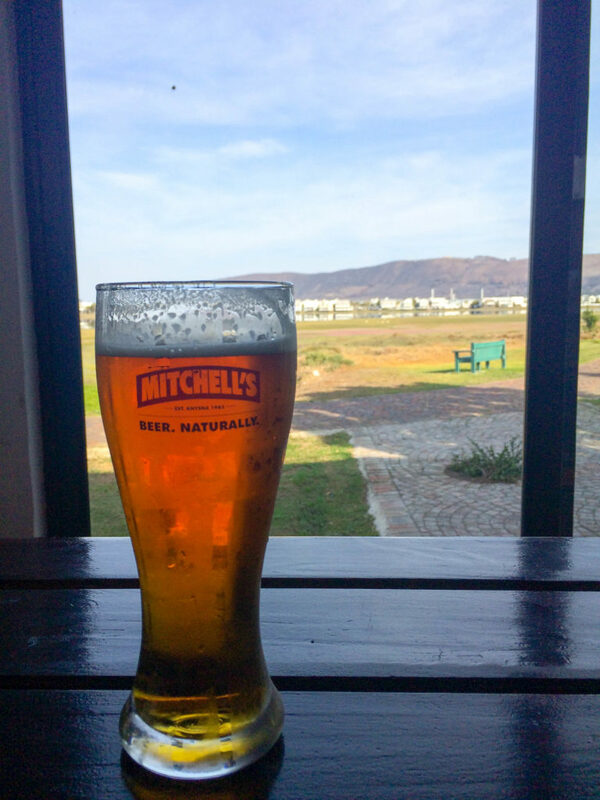 Not far from the Waterfront you can find the Mitchell’s Brewery. 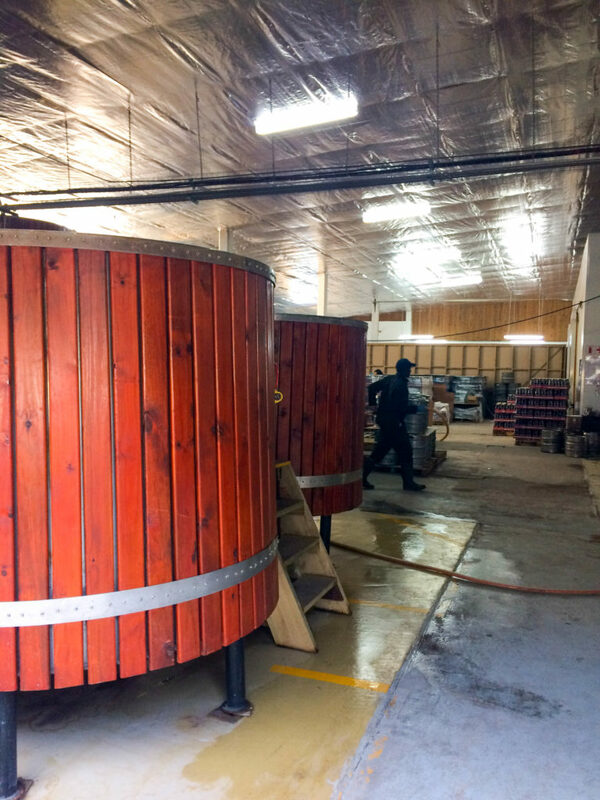 They brew beer here in Knysna since 1983 and use only natural ingredients: water, barley and locally sourced hops; which makes their product the original South African craft beer. 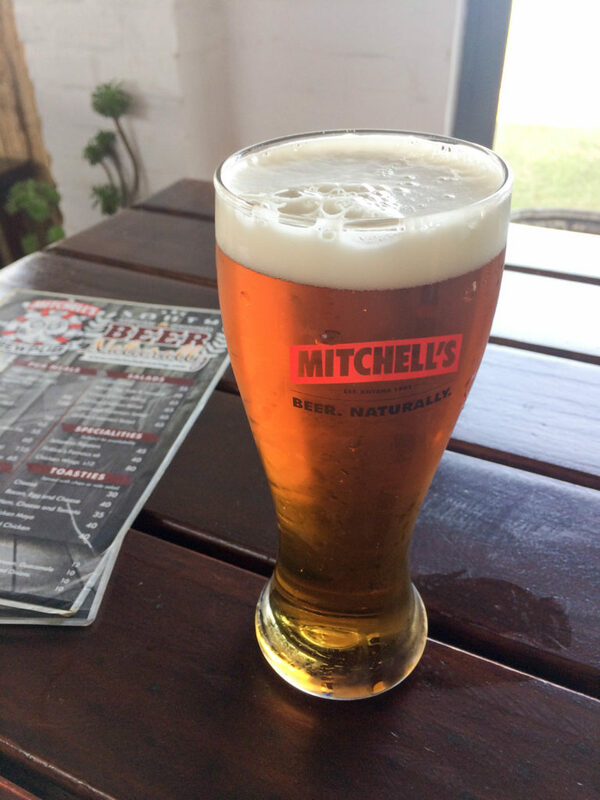 Here you can try a range of full bodied, refreshing and good tasting bears. 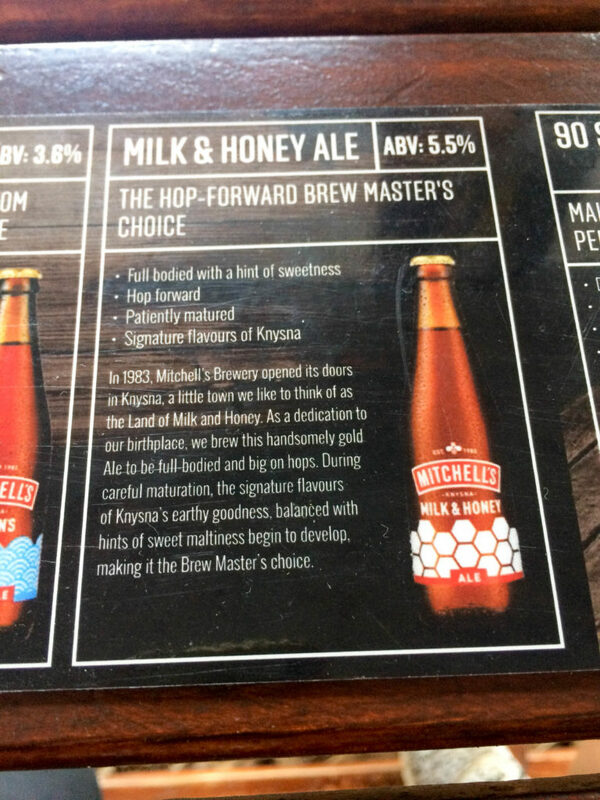 I tried their Milk & Honey which is dedicated to the beer’s birthplace Knysna and it its signature beer. I also loved the view I got from the brewery. 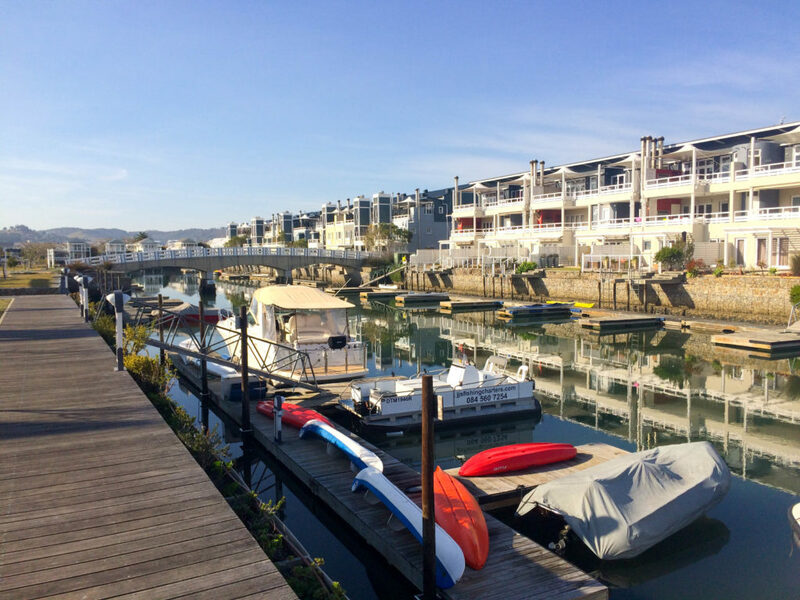 Cross the bridge over Indian Ocean and you will get to Thesen Islands – a luxurious marina development which is situated on many small islands linked by bridges. 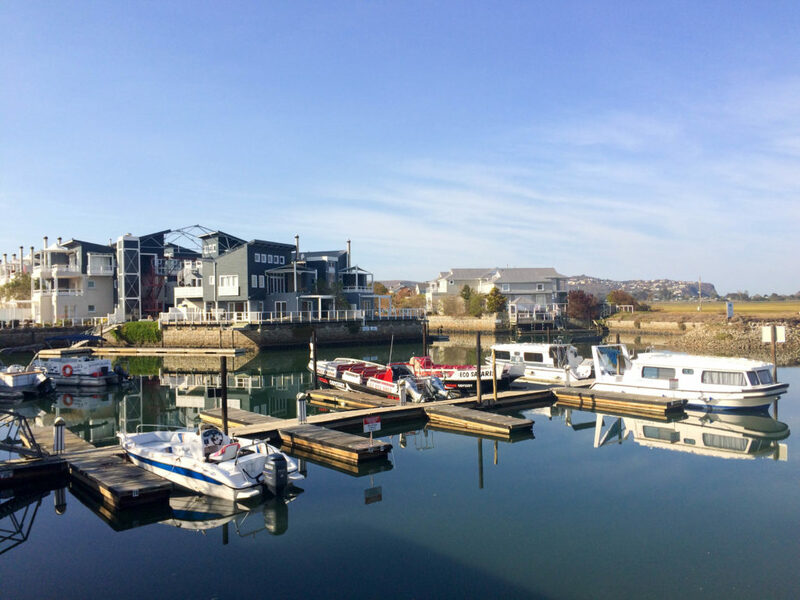 Thesen Islands were first inhabited in the beginning of the 20th century, when the Thesen family built a timber trading company here. Today the island is full of cute homes built in a colonial maritime architectural style, however, most of them are behind the fence. 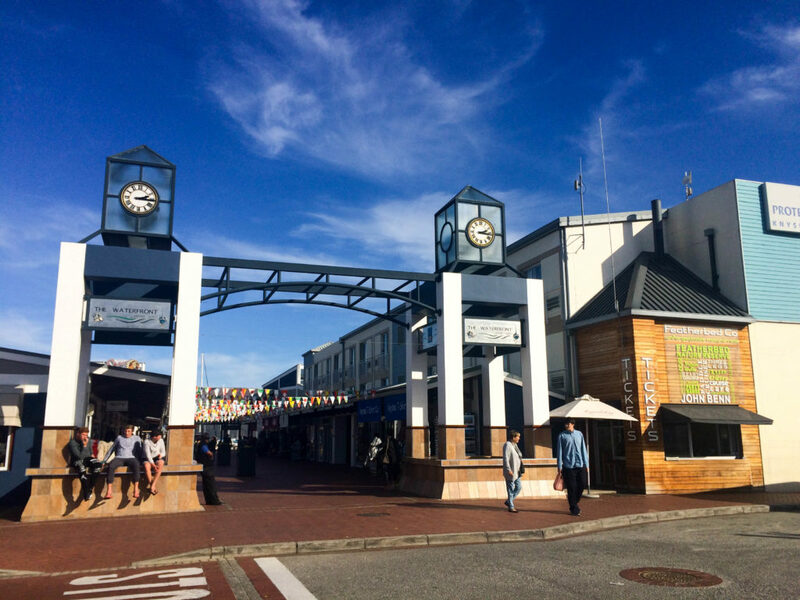 The Harbour town however is open for the public. 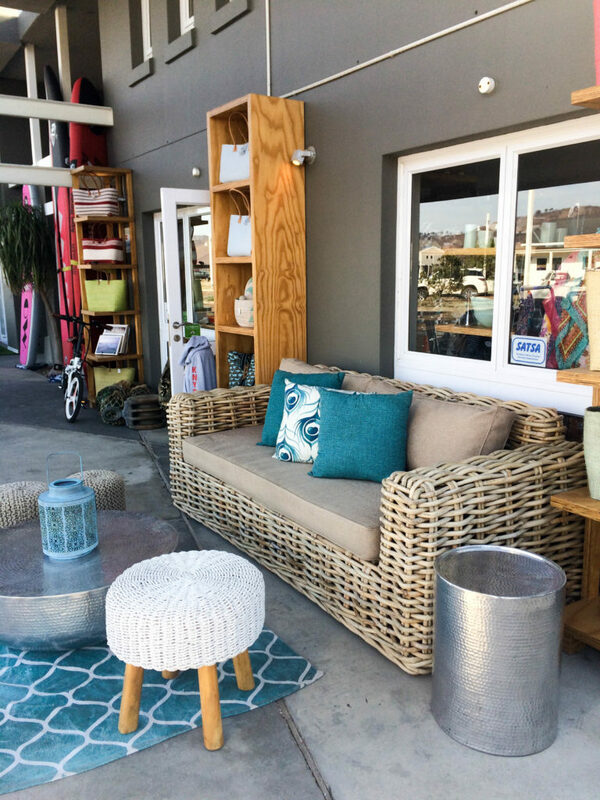 Here you can go for a delicious coffee, windows shop around pricy stores, admire the boats in one of many yacht quays and learn about the history of the island on informative signs that are situated around the main street. 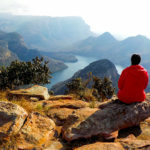 The best way around South Africa and the best way to get to Knysna is with Baz Bus – South Africa’s convenient hop-on hop-off door-to-door backpacker bus service. 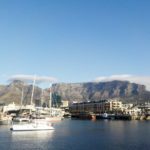 You can read all about my great experience with them in my blog post Travelling around South Africa with Baz Bus.